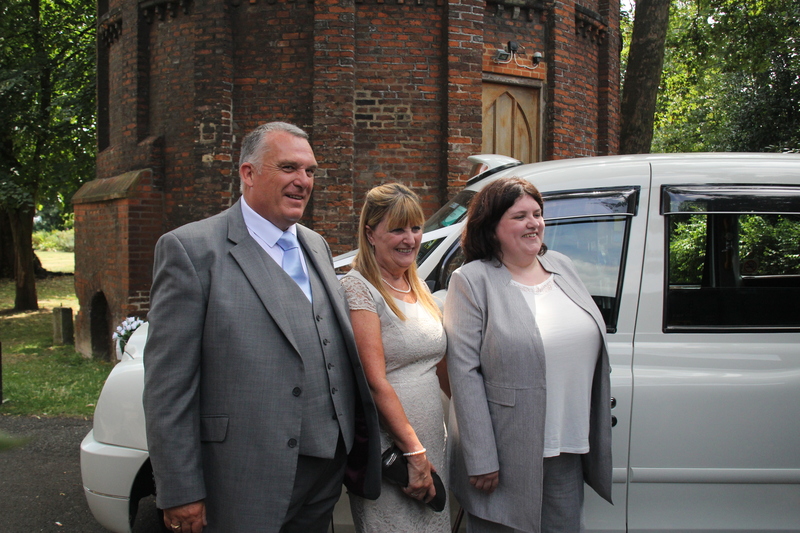 Saturday took Lily and myself up to the Premier Inn Kings Cross to pick up Ailsa, her Mum & Dad, and drive them to Bruce Castle for her Wedding ceremony. Bruce Castle is a venue that I have never been to before and is set back off Lordship Lane Harringey, it is a lovely building set in beautiful grounds, ideal for a Wedding on a lovely sunny day. 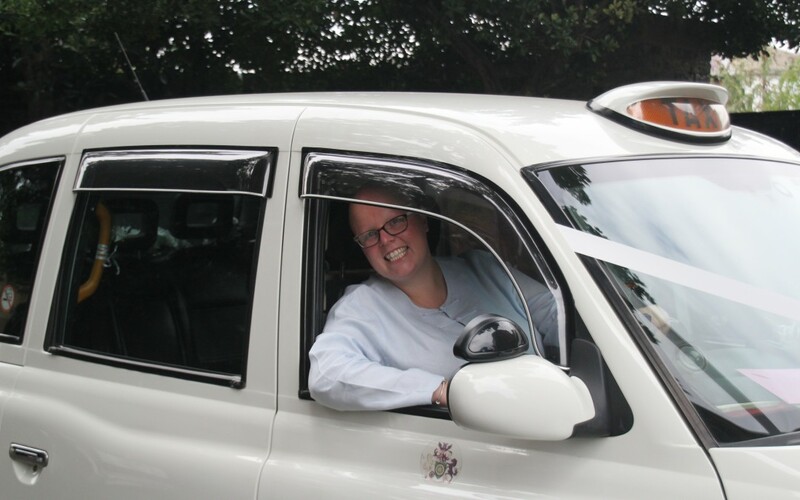 After Ailsa had been photographed standing by Lily the White London Wedding Taxi and also sitting in the drivers seat we were then off to collect Ailsa’s partner Leanne. Leanne lived a short drive from Bruce Castle which took only a few minutes, once Leanne was ready it was then off back to Bruce Castle with her parents. 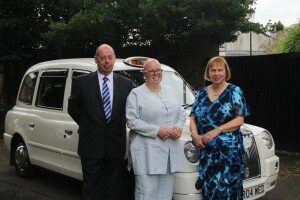 Leanne was a little camera shy and didn’t really like having her picture taken, but even so she managed to pose for a few photographs beside Lily the London White Wedding Taxi. As the ceremony and reception were taking place at the same venue I never got to see the happy couple after the marriage but I am sure they make a lovely couple and we would like to wish them all the best for the future.